As you may notice that my Kancil's bonnet paint is fading off and started to get rusty. Thus, the last weekend I got an idea to spray my bonnet to flat black to prevent my bonnet turn to even worse condition and I still have no idea when I will send my Kancil for repaint. 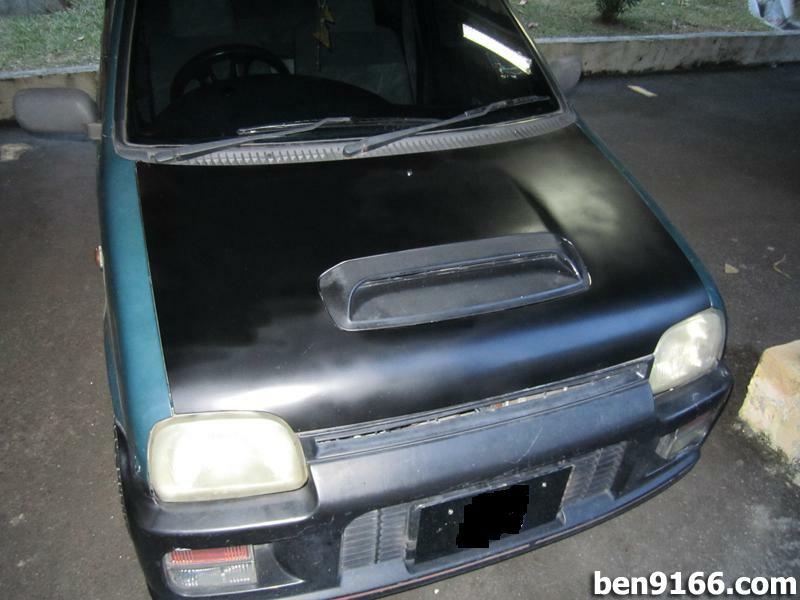 Besides that, currently the market price for a halfcut Mira L200s bonnet is at RM350-450 (Depends on condition) and I do no want to waste money to get another bonnet. 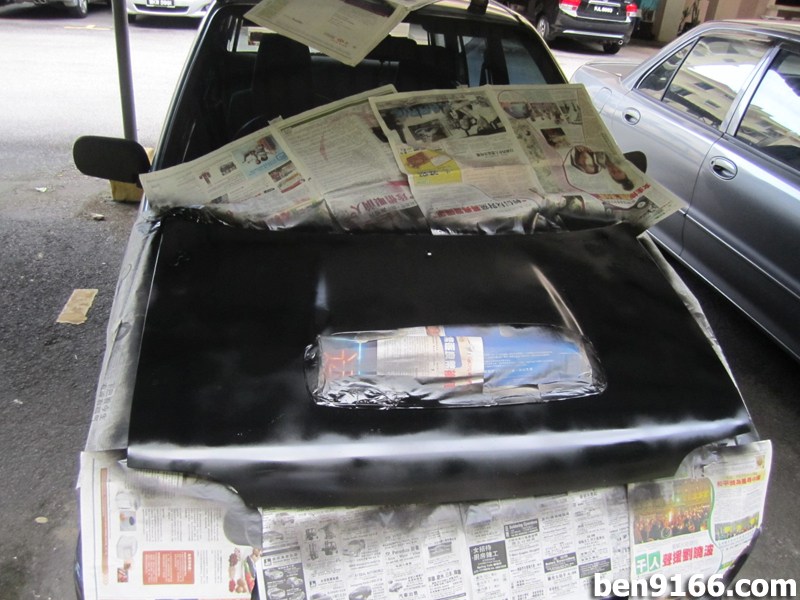 Second step, spray first layer of paint on the bonnet. Above is the photo of the half way progress. 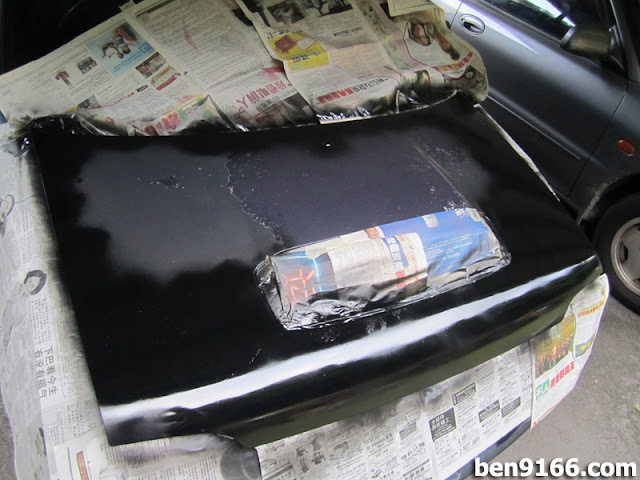 The first layer is done and here is the photo of the result. How is it? Not really looks good huh?